The Sony BC-U1A Battery Charger / AC Adapter is a single-bay charger supporting Sony BP-U90, BP-U60, BP-U60T, and BP-U30 batteries. It also functions as an AC adapter that can be used to power a camera directly. 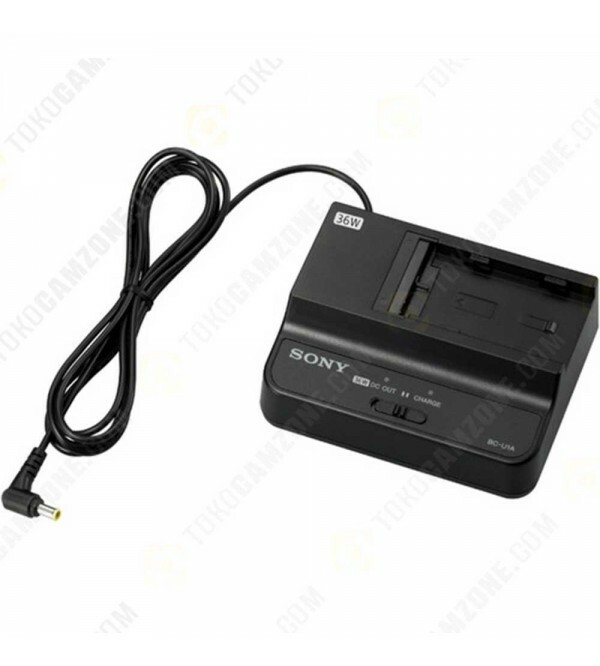 The AC adapter provides a 12 VDC power output via an integrated cable that can be connected to any Sony camera that accepts BP-U series batteries. A selector switch on the front of the device allows you to switch between charger and AC adapter mode. Box Dimensions (LxWxH) 6.5 x 6.5 x 4.5"